I have often wondered what it would be like to step out on the stage of a sold out show and perform in front of a hometown crowd. 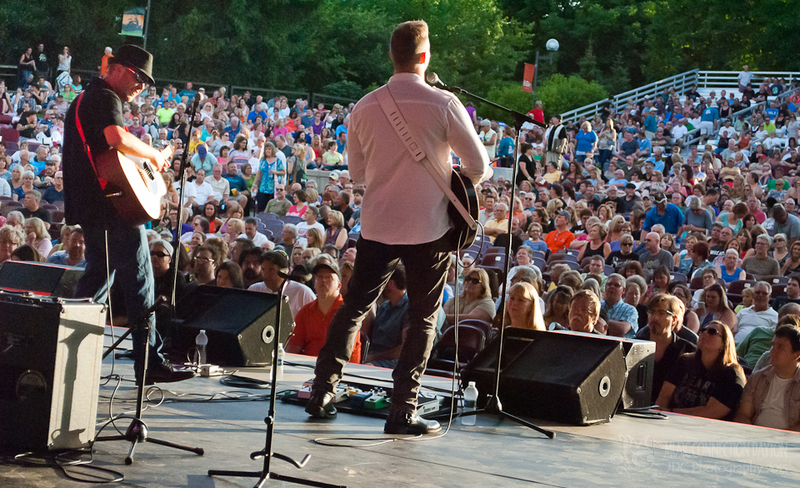 For most of us, the dream is just that, a dream, but for hometown favorites, the Tony Red Band, the dream became a reality when the guys got the call to open up for Rock & Roll Hall of Famer’s, Heart, at the Fraze Pavilion in Kettering, OH. Things seldom happen fast in the music business, but when they do, they happen at lightning speed! Just ask Fairmont High grad and front man, Tony Herdman. Herdman messaged me about a week and a half before the show asking if I’d be free Tuesday, June 16. He said, “Nothing was confirmed yet, just keep the date open. Trust me, this is huge!” I thought to myself, “Its Tuesday. What am I gonna do on a Tuesday?” Tony called back a few days later with the news that the Tony Red Band was going to be opening for the legendary band, Heart, at Kettering’s Fraze Pavilion. Tony’s enthusiasm is always contagious, but this time his excitement was off the charts, and for good reason! Many local bands and musicians struggle for years waiting for that “big break,” yet, unfortunately, most never get the opportunity. When a local band gets the call to the big leagues, it’s a huge deal! 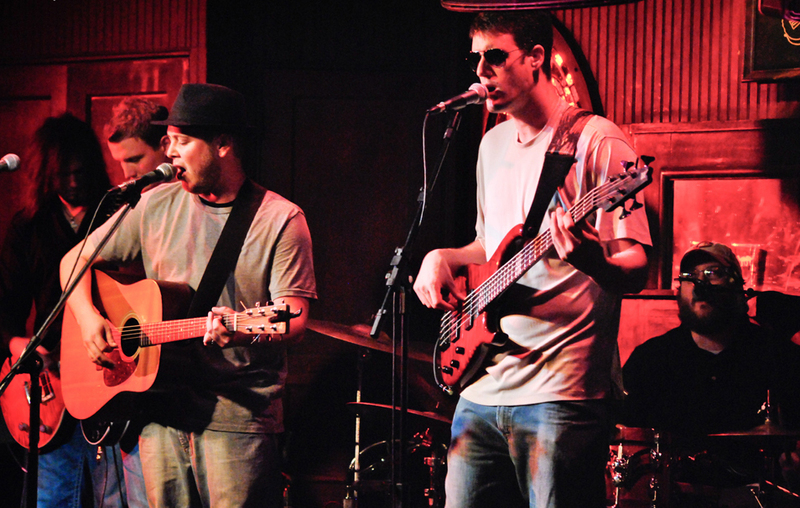 The Tony Red Band hit the Dayton music scene back in 2009 with the debut of their self titled CD. Lifelong friends and super talented musicians – Tony Herdman, Brooks Daugherty, Norman Dimitrouleas, Dino Dimitrouleas, and Rob Brockman made it easy for their album to be received locally, and the word started to spread about this hometown “super group”. One night after a stellar performance at Canal Street Tavern, I remember thinking to myself that these guys could play on any stage anywhere. Now, after years of preparation and determination, the hard work was finally going to pay off! The band hit the stage for sound check around 4pm. The sun was torturous, and the heat was relentless as it bounced off the concrete stage. Luckily, it didn’t take long for the guys to get dialed in, but that left nearly 3 1/2 hours before show time. That’s a lot of time to kill when you’re waiting to play in front of 4,300 of your neighbors and friends! 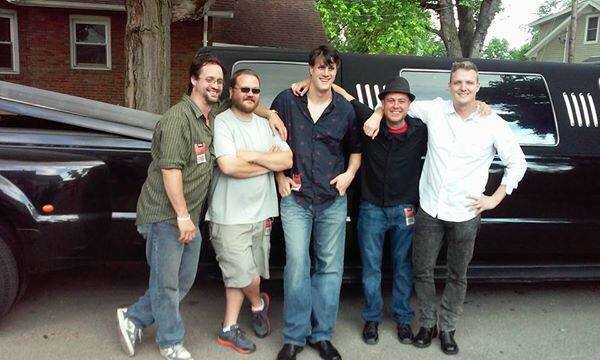 After heading back to Tony’s place to freshen up a bit, the guys made their way back to the Fraze Pavilion and rolled up in style in a fully stocked Hummer limo – SO Rock & Roll! It’s been a long road for the Tony Red Band to get here, but the look on their faces as they waited to take the stage told me the journey was well worth the wait! The guys were all smiles as they took their positions on stage. The band was given just 30 minutes to make their impression on the sold-out crowd, and make an impression they did! Tony welcomed the crowd to the Fraze, and then the band proceeded to give us one hell of a Rock show! The guys opened up the show with “Gonna Run” and followed that up with a favorite of mine called “I Will Not Go,” featuring Brooks Daugherty on guitar. The band was just getting warmed up though, and they gave the audience as much rock & roll goodness as they could cram into 30 minutes! They performed plenty of tunes from their CD, including one that has become a Dayton anthem for many called “Carry Me Back Home,” written by Norman Dimitrouleas. The Tony Red Band killed it with their last song of the evening, the classic “Is It Worth All I Got?” earning the band a much deserved standing ovation and a ton of new fans! For those of you that couldn’t make the sold out show at the Fraze, you can catch the Tony Red Band and many others at Herdman’s annual festival called Hog Jam, which is entering it’s 10th year! Privilege to see all you wonderful people grow in music and in our hearts. Thank you for all your hard work, long nights, tears, grins and always letting the fans know we are loved. I pray for you ALL often and I’m so proud of you guys! Congratulations, and I only see lots more to come! See you at Hog Jam!